@Gena Anfimov: those links require a password, so a membership to the website (and they are in Russian). During World War II, as part of the paramilitary ships of the Far Eastern Basin, carried out export-import shipments between the Pacific ports of the USSR and allies. February 6, 1946 transferred to the balance of the Murmansk State. shipping company. 07/03/1949 excluded from the list of vessels of the Minmorflot in connection with the transfer to the Murmanryb trust of the administration of the Glavsevrybprom, Minrybprom, for use as a receiving-transport ship base. From 09/21/1949 was a member of the transport fleet of the trust "Murmanseld". 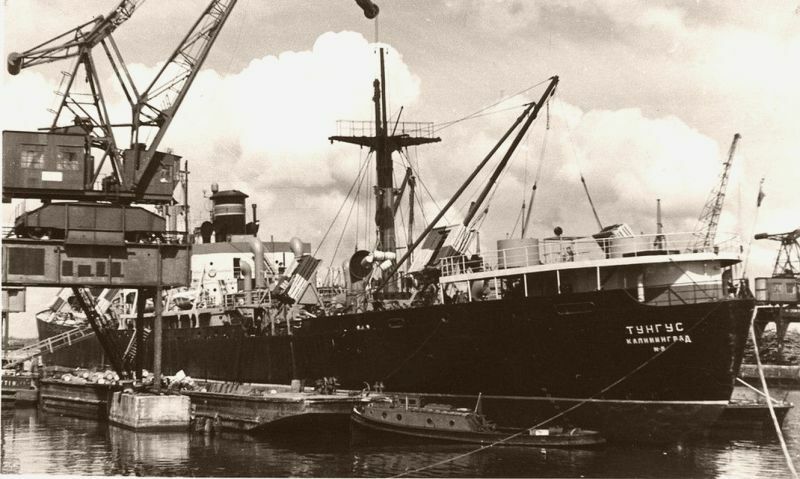 In 1970, decommissioned and excluded from the lists of ships of the USSR Ministry of Fishery in connection with the transfer of Glavvtorchermetu for dismantling and implementation. A Liberty ship changed in reefer ?